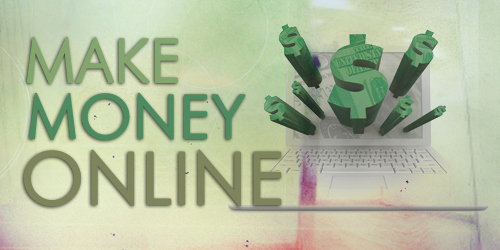 Are you in the make money online niche? Are you about to go into this niche? 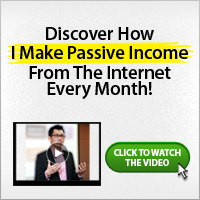 If yes, I need to let you know that the niche is not as easy as so many internet marketers portrays it. Yes, we show you our income reports and make it look as if it was easy for us to make that amount. The truth is, it is easy but not as easy as some people may think it is. I pity newbies who get motivated by these, tries their and on one or two things and gets burnt. After which they go about saying that making money online blogging is not real. To help those in the niche and those who are about to get started, I’ll be sharing the realities I read on one of my mentors blog. You too might have read it before. This is just to serve as a reminder for you. If you have not read it before, then be glad because you are about to know the realities of the making money blogging niche. Lets look at a few of the realities of working in this niche. 1. You can make good money blogging about blogging. It’s true—there is money to be made in this space. Teaching others to blog and to make a living from it can be profitable. As with any topic that has anything to do with money, this can be a lucrative niche. 2. It is a crowded niche when it comes to finding readers. As a result of the success of some (and the public broadcasting of the results), many others have joined the hunt for market share in this space. I’ve not seen figures on it, but I suspect the result of this is that it’s one of the more crowded niches. As a result, breaking into the niche and making a name for yourself can be tough. 3. It is a crowded niche when it comes to products. If you want to monetize in the Make Money Blogging niche by releasing a product, there are not only a lot of other blogs, but a lot of products you’ll need to compete with. Again, it’s hard to stand out, and I suspect that many bloggers have simply bought enough products already, and are not that interested in buying more. 4. There’s a lot of suspicion about the topic. Due to the nature of the topic, there’s rightly a lot of suspicion about it. Unfortunately over the years, this niche has attracted its fair share of dubious characters and those who have used less-than-ethical-and-transparent tactics to make a name for themselves. This has created a lot of suspicion among the general public about the niche. I’m kind of happy about this suspicion, as I’ve heard a lot of people ripped off, but it does make this a tricky space to operate in. 5. Bloggers are perhaps more reluctant to spend money than other audiences. Let’s be clear: I’m not calling you cheap! But one of the factors to consider in this niche is that the barriers to entry for the blogosphere (as opposed to other pastimes) are extremely low. You can set up a blog for free, there are thousands of blogging themes, tools, and how-to instructions out there for free, and there’s plenty of free help within the niche. As a result, many bloggers don’t come to their blogs with the expectation of having to spend much money. This can impact the bottom line for those trying to operate in this niche (I’ll touch on this more below). Now that you have seen the realities, it’s time you turn up your sleeves and get to more impactful work. You can start in the niche easily but you need more guts to remain successful in it. Make money blogging and make money online niche afford you the opportunity to make more money but you need to stand ahead of the pack. If you are in this niche and you need help, I can help you out on the basis that you must be very ready. And also, remember more people coming into the niche means more competition for me.